Google has announced that it has signed several deals for its video arm YouTube with the likes of Sony and other providers to show movies and TV shows on the site. The video-hosting giant has bagged Sony Corp for films and TV, as well as 11 other partners to significantly raise the amount of legitimate content from Hollywood's big names to go with the likes of MGM and Lionsgate. YouTube also announced that it will be partnering with Disney to offer selected offerings from ABC and ESPN. 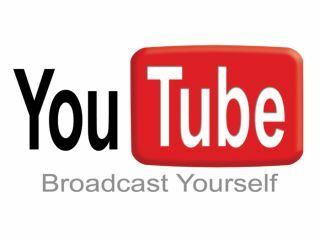 The new content will involve some advertising from YouTube, whether it be alongside the video or before or during the video itself. Google also hinted that it may look to demand a payment for some premium content as it looks to find ways to monetise the popular site. The new deal, which will see films such as The Addams Family available to watch online, might only have meagre offerings, but Google plans to use the new deals to entice more content for the future. "We think the prime-time slot of the future is very much user-programmed," said Shiva Rajaraman, senior product manager for YouTube. Google is likely to fight for more deals in the Hollywood sphere in the near future as it begins to worry about the growing popularity of the likes of the BBC iPlayer and Hulu in the US, both of which offer premium content available for streaming.